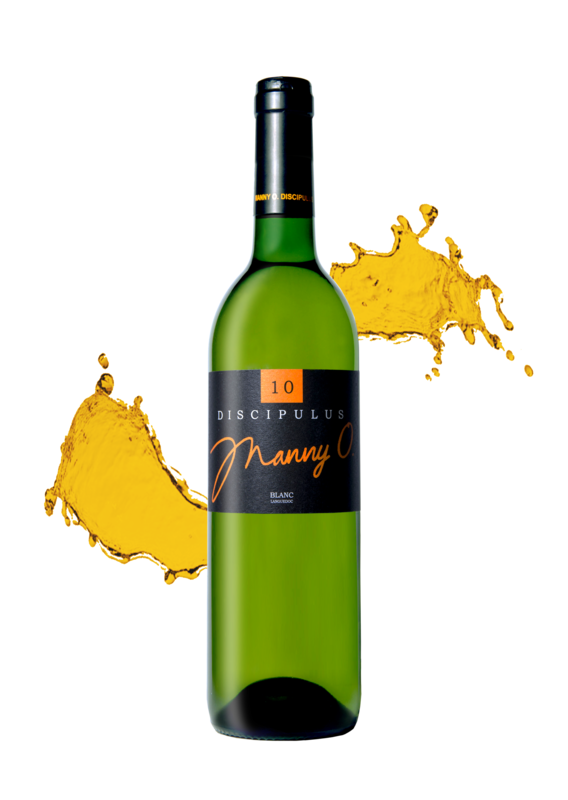 Often times white wine exudes a sense of acidity or thinness, but the numerous types of grape in the Discipulus Blanc all play a role that completes this wine. Lees Stirring (also known as batonnge) is applied to the Sauvignon Blanc which offers crisp acidity. The Colombard’s freshness and the very aromatic and sweet Muscat Petit Grain increases the release of yeast compounds in the wine resulting in a well-rounded, creamy and velvety sensation in the mouth. Batonnge may cause premature oxidation, so to compensate, the grapes are picked in the early morning or late evening and not when the sun is at its brightest. Finally, the veritably unknown Ugni Blanc ties the sweetness and the acidity of the three well-defined varietals together.